Carve up the streets and disappear in a flash! Equally capable of zapping around the city or cruising the park, the Yvolution Neon Hype Skateboard is kitted with LED lights under the deck for extra street cred. 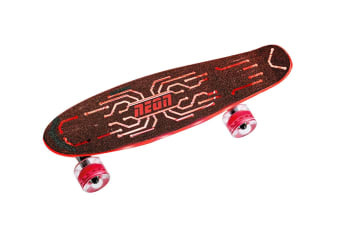 The Yvolution Neon Hype Skateboard features a smooth motion-powered PU wheels and reflective grip deck that make for a lightning-fast board that’s agile enough to take on anything and compact enough to take wherever you go.